Do you love all things wood? If yes, then Woodgeek Store is just for you. Buy unique notebooks, pens, posters, bowties, phone-cases and more from this online store. For the love of product design and the wood grain, the Woodgeek team began making personalised wooden notebooks to make a style statement. Over time, they started experimenting with more and more options and eventually realised their passion for making cool things out of wood. This Bengal-based brand makes and ships nameplates (get one for your office desk) and engraved wooden signs (for all the special occasions) that will add a sophisticated look to your space. If these are too formal, you can get fancy wooden posters with the hand-drawn art of popular fictional characters (hello Batman, Tyrion Lannister), zodiac signs, sports personalities, and your own pictures and texts intricately carved on solid wood. For stationery lovers, the notebooks and pens are unmissable, and fashion aficionados, this brand will win you over with their wooden bowties and sunglasses. The phone cases too are an attractive product that will not only give your phone a modish makeover but also really protect it from scratching and breaking. Don’t have to worry about what to gift your friend who likes all things old school anymore, we think. They use rosewood, bamboo, walnut wood for their products, merged with techniques like CNC, laser cutting, and UV coating to give you quality products. They also make use of recycled paper for the notebooks and polarised UV lenses that are weather protected for the sunglasses. 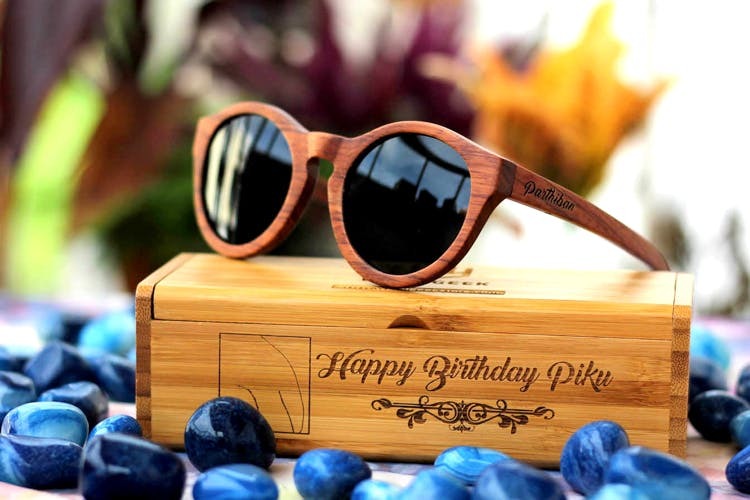 The price range depends on the kind of wood, the intricacy of design and the size, but it starts from INR 599 (for a nameplate) and can go up to INR 3,499 (for sunglasses). They handle world wide shipping!